This smooth, squat Tomato pairs all of the things we love about Claudio's work into one singular, attractive package. 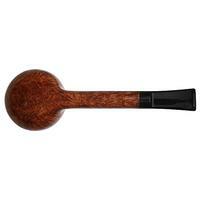 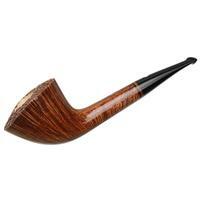 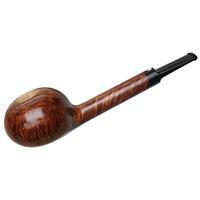 Well-balanced against a straight, lengthy shank, its warm finish gives way to sweeping flame grain across its bowl and swirling birdseye up top. 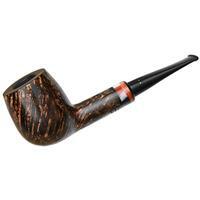 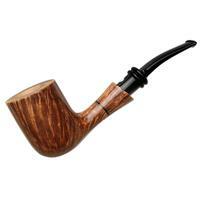 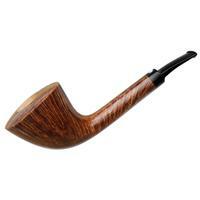 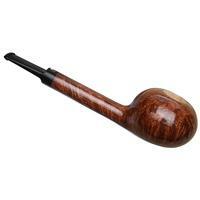 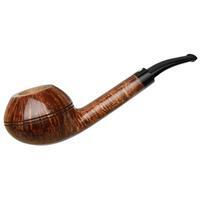 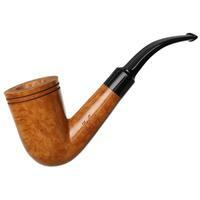 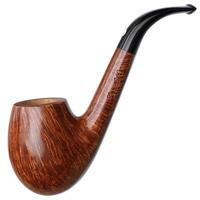 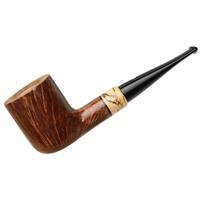 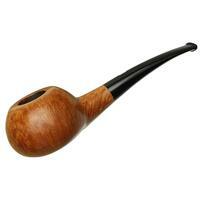 A firm, steady grip in hand and thick chamber walls make this a comfortable companion pipe, giving testament to the care and consideration that goes into every detail of Claudio's work.